The bees are busy in the berries. 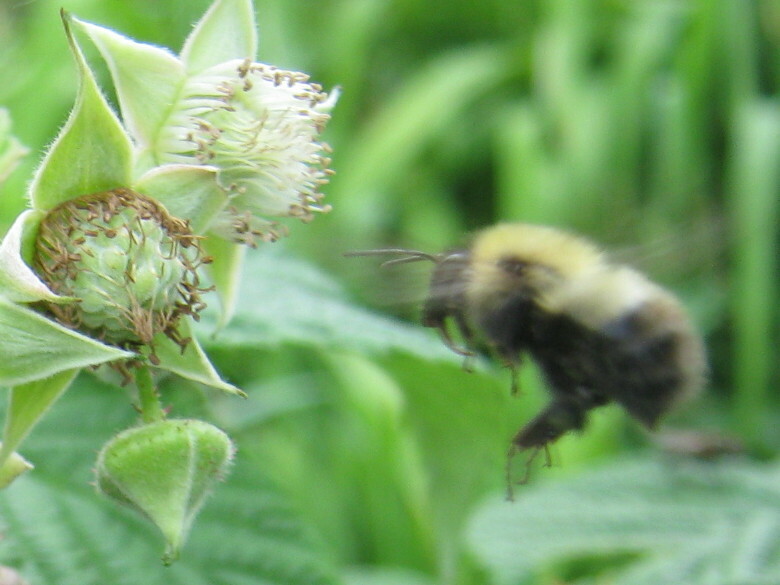 Lots of bumblebees rush from flower to flower in the raspberries. This one seems to be trying to choose between a berry in progress and a fresh flower. So many berries, so little time. And there’s other bees to compete with. 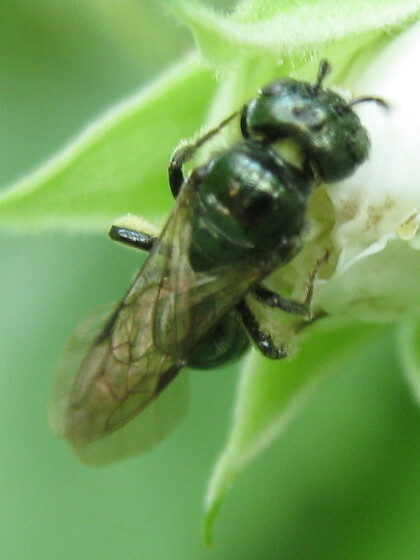 Tiny carpenter bees (Ceratina) glow blue-green on the edge of the raspberry blossoms. They probably overwintered in some of the old stems I never bothered to cut down. Now they’re building nests in the stems. Somewhere. 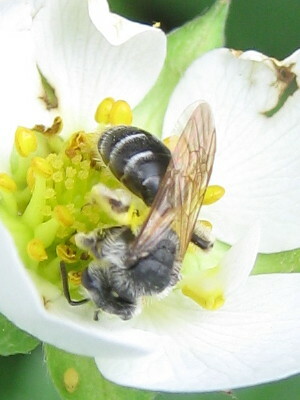 Mining bees (Andrena) are still active, digging right into the strawberry blossoms. Other than the one I actually unearthed a few weeks ago, I have no idea where they are nesting. Somewhere in the hard-packed earth, I suppose. Mystery plants get identified, and the bees get names, but some mysteries they retain.